The technological innovation known as artificial intelligence, or AI, has been much in the news lately, with commentators debating whether its prospects are scary or exciting. However, according to a report recently published in JAMA, the journal of the American Medical Association, AI promises to be of considerable benefit in an area related to people with diabetes. 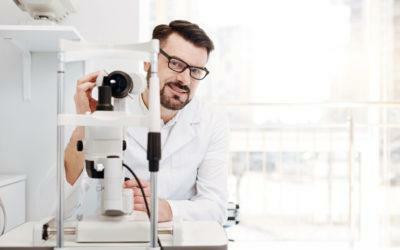 An international coalition of researchers developed a computing system using AI that proved to be extremely accurate in identifying diabetes patients who have diabetic retinopathy and related eye diseases. The creators of the technology call it a “deep learning system” (DLS) and have used it to examine nearly half a million retinal images drawn from a large multiethnic population, including people from Singapore, China, the United States, the United Kingdom, and Mexico. It was not the first study testing AI on retinopathy, but it was by far the largest. The researchers determined that for vision-threatening diabetic retinopathy the DLS showed higher sensitivity than trained human analysts. According to Tien Y. Wong, MD, one of the authors of the report, in an interview with Medscape, the results show that “DLS can help clinicians detect subtle changes, patterns, and abnormalities that may be overlooked or disregarded by humans.” The technology also promises to save time and money by eventually making it easier and faster for clinicians to separate diabetes patients who need referral to eye doctors from those who don’t.